Believed to be one of the largest grocery stores in the state, the new 123,000-square foot Kroger’s is located in the new shopping mall on the south side of Ga. 400 between Whitmire and Dawson Forest Roads and features a nine-pump Kroger Fuel Center. Loy estimated that between opening at 6 a.m. Wednesday and closing at 1 a.m. Thursday more than 10,000 customers visited the new store. Kroger closed its old store further north on Ga. 400 Monday and is looking for a tenant to lease it. An expanded bistro, full line of wearing apparel, Little Clinic, expanded natural food, meat and seafood are among the features that helped draw such a large crowd. “It’s an adventure shopping here,” Loy said. 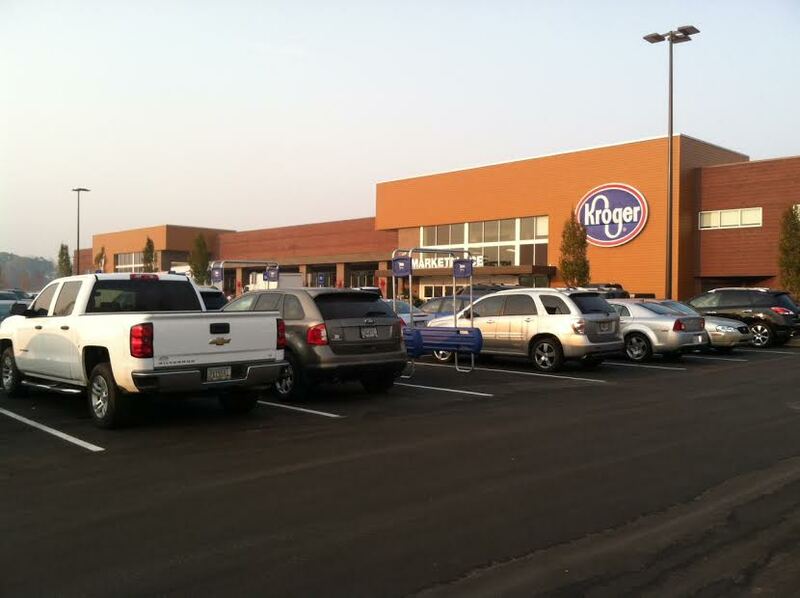 Kroger is the first store to open in the new shopping center. Hobby Lobby, Petco, Marshall’s and Ross will soon follow. Charlie Auvermann, executive director of the Dawson County Development Authority, has said Kroger was being wooed by other counties and it was critical to the tax base to keep them here. “We wanted the location in Dawson for the convenience it will bring to our citizens and because it will bolster our overall commercial tax base,” he said. The Georgia Department of Transportation had to agree to reconstruct the intersection before the plan to build Kroger could move forward. Next Article » Light up Blue Ridge ~ November 25th 2016!